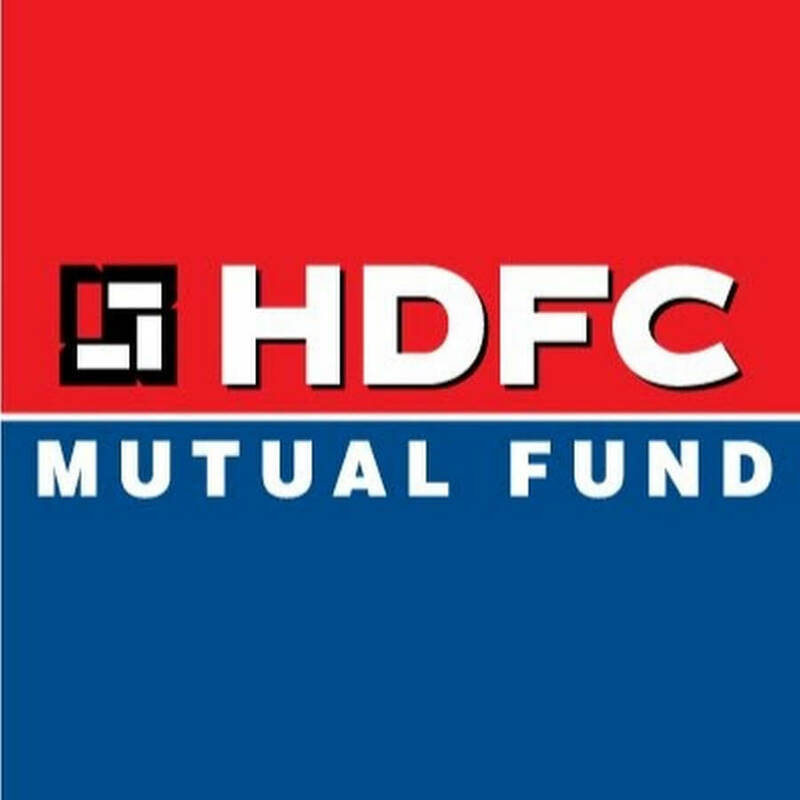 (i) HDFC AMC (Asset Management Company) Limited (AMC), also known as HDFC Mutual Fund, was incorporated under the Companies Act, 1956, on December 10, 1999, and was approved to act as an Asset Management Company for the HDFC Mutual Fund by SEBI vide its letter dated July 3, 2000. (ii) The Company has been the most profitable asset management company in India in terms of net profits since Fiscal 2013, with a total AUM of ₹2,932.54 billion as of December 31, 2017 of which equity-oriented AUM and non-equity-oriented AUM constituted ₹1,552.82 billion and ₹1,379.72 billion. (iii) The company has been the largest asset management company in India in terms of Equity-oriented AUM since the last quarter of Fiscal 2011 and have consistently been among the top two asset management companies in India in terms of total average AUM since the month of August 2008. (iv) The AUM has grown at a Compounded Annual Growth Rate (“CAGR”) of 27.1% between March 31, 2013 and December 31, 2017. The proportion of equity-oriented AUM to total AUM was at 53.0%, which was higher than the industry average of 44.1%, as of December 31, 2017. (v) The company has an established track record of delivering robust financial performance. The total Revenue increased from ₹7,83.976 Cr in Fiscal 2013 to ₹15,87.910 Cr in Fiscal 2017, with a CAGR of 19.3%, and the Net profit has grown from ₹3,18.746 Cr to ₹5,50.246 Cr during the same period at a CAGR of 14.6%. The Dividend Payout Ratio increased from 40% in Fiscal 2013 to 51% in Fiscal 2017 and they have paid a dividend of ₹2,31.535 Cr in Fiscal 2017 compared to ₹1,11.060 Cr in Fiscal 2013.
a) Consistent market leadership position in the Indian mutual fund industry. b) Strong investment performance supported by comprehensive investment philosophy and risk management. c) Superior and diversified product mix distributed through a multi-channel distribution network. d) Focus on individual customers and customer-centric approach. f) Experienced and stable management and investment teams. It is a pure OFS vide which existing shareholders i.e HDFC Limited and Standard Life Investment are selling 25,457,555 no. of shares to the Public. 1. HDFC Limited is selling 8,592,970 EQUITY SHARES 2. STANDARD LIFE INVESTMENTS LIMITED selling 16,864,585 EQUITY SHARES. Promoters of HDFC AMC Limited Company are: (i) The Promoters of the Company are HDFC Limited and Standard Life Investments. As on the date of this Draft Red Herring Prospectus, HDFC holds 120,772,800 Equity Shares and Standard Life Investments holds 80,515,200 Equity Shares, which constitutes 57.36% and 38.24%, respectively, of the Company’s pre-Offer, issued, subscribed and paid-up Equity Share capital. Key Notes: a) The Revenue is growing at CAGR of 17.50% from FY13 to FY18. b) The PAT is growing at CAGR of 15.7% from FY13 to FY18. c) The Annualized EPS for FY17-18 would be 31 d) P/E(post issue)= 35.48 at Cutoff price of 1100 e) P/B(post issue)= 9.09 at cutoff price of 1100 f) The company is almost debt free. g) Mcap/Sales(ideally <2)=13 on FY18 sales( bit higher). h) The Company is consistently clocking EBITDA Margins above 50% in last 5 years.- Big Positive i) The Company is continuously generating positive cash flows from operations in last 5 years- Big Positive. j) The Company has excellent RONW of 28% in FY18( Anything above 25% is super). k) If you observe carefully in the above financials, the EBITDA Margins were decreased from 59%( FY15) to 48%( FY16), this is due to the fact that the other expenses increased by 107.82% FY15 to FY16 , primarily due to an increase in expenses incurred for brokerage, incentives, fees and mutual fund expenses. Until Fiscal 2015, charges associated with brokerage and incentives were recovered from the respective schemes and had no effect Statement of Profit and Loss. NOTE: 1. The AUM of Reliance Nippon is taken as 2.3850 Lac Cr as on 31st May 2018. 2. The AUM of HDFC AMC is taken as 2.93 Lac Cr as on 31st Dec 2017.
should I hold it or Sell it?? Buy more quantities hdfc amc for long term it Will give you best written this is the time to buy…..
Don’t sell hdfc amc buy more quantities for long term it is the time to buy…. Buy on dips! This is a multibagger!! How much money you want to invest?? HDFC AMC and Motilal Oswal both are big brands in Mutual funds and PMS schemes respectively. However, you strictly can’t compare two as in MFs the minimum investment is as low as Rs.500 and in PMS it is whopping 25 lacs. Both are different class of instruments, PMS being a riskier than MFs. So depending upon profile one should choose between the schemes. Hold it for atleast 5 years. Very high chance this share becoming a part of Nifty in future. The next big hurdle for the Indian Stock Market is Election in 2019. The Market will remain choppy till that time. All the biggies in the market are on the safer side and buying mostly large-cap where risk is limited. Once Modi Govt comes into the picture the market will rally like similar to 2017. Now come back to your question Whether share doubling in next 10 year? The answer would be yes, very easily. The PAT in the last 5 years is growing at a rate of 16%, considering the similar growth in future the share would get double in next 4.5 Years. Please find below the detail of last 5 years dividend payout of the HDFC Bank. (i) 2014-[342% on FV=2], so Dividend per share= Rs.6.84. Now Let us suppose you have invested Rs. 1,00,000 in HDFC Bank on 01.01.2014. The Share price at that time was Rs. 668, so accordingly you would have got 1,00,000/668= 149 no. of Shares. In the last 5 years, total dividend received per share is (6.84+8+9.50+11+13)=48.34. The Total profit received would be =7202.66 which is equivalent to 7.20% return in 5 years through dividend only. However, if you had remain invested for these many years the appreciation in the Share would be close to 200%. Portfolio stock. one of the few companies which is a must in everyone portfolio stock. It can easily give more than 20 % average yearly returns. Added more in preopen… Holding it for the super long term! Today, there will be listing of HDFC AMC IPO. Wishing a BUMPER PROFIT DAY to all of us. congratulations to allottee’s of HDFC AMC IPO. As per current premium expected listing will be between 1600/- to 1700/-. Our advise to keep for long term investment and it will rise more than gold. Aaj tak jo nae huva vo monday ko hoga….. I am taking the liberty to add a line to your above comment. If you look at the basis of allotment in shareholder category, maximum applications came in the 1 Lot and 13 Lot category. In the 13 Lot category all were allotted 45 shares, but a few applications were allotted 46 shares. This post is also in reply to a question posted by Mr. Adesh Jain. got 1/2 in HDFC AMC IPO but still, the shares are not reflecting in Zerodha?? Experts please advice?? Yes. Around 8:57AM they will be visible in Zerodha. I’ve Zerodha accounts so I am 100% sure. Why should FII be in a hurry to buy this on a very first day? Isn’t it good chances that it may not behave as general public is expecting??? No one can predict the price movement. I would suggest to buy in smaller chunks.. So guys anybody looking to buy HDFC AMC IPO after listing?? I am thinking to buy in preopen. The demand would be huge from FII so chances are high that after listing it can rocket up in north direction. Right now premium 530-535….goes to 580 in evening and back from their…..too much up down now…. Everybody is hoping like this .. let’s see..
Gmp in the afternoon today was 550. I believe any value abt 1500 in listing is a must buy, and a value above 1700 can be used to book profits ( for short tem traders). Ofcourse those wanting to keep for long term should not bother on any rate, and just keep. And those wanting to enter fresh for long term, i think any rate less than 1500 could be good. I sold 75% of mine on todays gmp and will retain the remaining 25% for long term. what is fair valutaion of hdfc amc after lisitng. Correctly said. HDFC is not only a Brand Name, but a Belief. One can make a complete portfolio of the above mentioned 4 stocks and expect to make 15-20% CAGR year after year. Great pedigree. You have a HFC, a Bank, a Life Insurance Company and a Financial Saving Instrument Company. Gmp is 500 smthng..so as of nw looks it wll list arnd 1500..bt wll nt add at those lvls..1350 arnd shld b a good lvl to add. Thng is AMC is normally valued as % of their AUM. Normal range is 5-6% of AUM..bt as hdfc has superior returns, good brand, mkt wll give premium. So even if i apply 7.5 – 8% to 2019 expected aum of 3.75 lakh cr (assumed growth of 25%), fair value comes to around 1350 to 1500. At 1500 it wll trade at around 33x fy 2019 eps. So at 1500 i thnk better nt to add and wait fr dips to around 1350. This is jst my assumption fr nw..we need to see wht value mkt wants to give. So we cn take a call after listing.. Difficult for calculating fair value..
Click here to download the ZIP file containing the official basis of allotment documents (in PDF format) for HNI, Employee and Shareholders’ quota. Secondary market has fallen the last two days due to external reasons coupled with RBI’s decision to hike Repo rate consecutively. We have tomorrow’s trading day before listing on Monday. ** If market falls tomorrow also will it have an impact on listing ?? ** If there is an impact, and after listing, if the stock comes around 1400 levels, is it a buy from the secondary market ??? ** Some thoughts please !!! We should discuss this tomorrow after market is closed. We will have more clear picture. However, I don’t think it will list anything below 1450 even if market crashes. Almost everybody (QIBs, NIIs and RIIs) is SUPER bullish on HDFC Brand and it’s well deserved too! Anand Ji, Your anxiety is totally acceptable regarding the listing of HDFC AMC. Here, I would like to clarify that even if the Nifty crashes 100 Points today and on listing day, still the chances are very less that HDFC AMC IPO will list below 1400. However, as nothing is sure in the Market if god forbid HDFC AMC IPO list below 1400 everyone will come to grab it including myself and price at the E.O.D will easily cross 1500. So no worries just enjoy the happiness of allotment and relax. We had some nice discussions during this IPO. Mixed to good results for me. 1. 0/13 each for three applications in RII category. 2. 46/169 each for three applications in SH category. Now lets look forward to listing !!! Thanks dear. Thankyou very much. I got the 0 allocation, what should be the strategy for secondary market??? If I will get it around 1500-1600 then will buy from the secondary market. Should list bit lower than expected as market is in down-trend now.. Yes, allotments are visible on karvy site. I just checked mine. 2 out of 5 in retail allotted. And in SH catrgory, though ppl are getting 46 out fo 169, i got 45 in one and 46 in the other three. Congrats Adeshji! Will share as soon as we have the BOA. What could be the outlook on the Listing date???? Depends up final equibrium price. It should list 1500+ though. Congrats Adesh! Can you share the link of karvy site where you checked your allotment? Anshulji, click the GREEN button on this page => https://prnt.sc/kdu8q6 it will redirect to Karvy site.. Still no information for me….Anyone whose application got accepted or rejected? Please wait.. allotment process is still not over..
By when the process will be over? By 7PM today it’s expected to get over. Hello … Ye jo yha retail category me 6.73 multiply subscribe dikha rha h … Aur app wise 4 multiply hai … Iska kya mtlb hai …jha tk mujhe lgta h … Logon ne retail me application 4 multiply me ki h … Aur shares ke liye jo apply kiya h vo 6.73 me … Mns kuch logo ne applications se 13 se jyada share ke liye apply kiys hai … Ussi vjah se ye difference hai … Is m right sir ? Basis of Allotment Approved by Exchange. Retail allotment is => 3.9024x. So 1/3.9024 chances of allotment. Not clear what you mean by share ratio? Total Shares : Total Applications… Per application is getting approx 3.33 shares. Hope this clarifies now. I don’t think one should look at this for listing gain . It is a portfolio stock and just keep it for many years and you will get reward with good returns. Hdfc ki allotment aaj h ya kal ? I believe that HDFC IPO GMP Rs. 580/590 is not sustainable and will decline tomorrow. listing can be around Rs. 1650 and hence Rs. 550 is okay and not more. I have one query…i have hdfc ltd shares since sept 17..but at the time of record date shares was in pool account not in demate…so is it eligible for share holder quota reservation?? I have already applied in that….. Premium little falling from 630 to 590 around now…..hope it will not fall more….expect block bluster listing…. What should be a decent price to buy from secondary market after a correction ? Any thoughts ? Predicting a decent price is tough! But I think price decided in PREOPEN should be the BEST Price to buy! Just keep holding this gem! It’s a super portfolio stock. People looking for listing gains will exit on listing, mainly, NIIs, may be worthwhile buying from secondary market at corrections. If assuming 70,000 applicants in shareholder category. 1. 13 shares firm allotment to those who applied minimum lot. 2. Total 24 lakh shares available for allotment. 4. 14,90,000 shares distributed to those applied above 13 shares in proportionate basis. 6. 55,46,000 divided by 14,90,000 = 3.7 times. 7. So 169 divided by 3.7 = 45 + 13 shares 58 . Total 58 shares will be allotted to those who applied 169 shares. An erroneous message is doing the round on Whatsapp after grand success of HDFC’s recent public issue, in as much as that the issue got 0.91% of Indian GDP. This is minimum 100 times false because India’s latest GDP is USD 2597 bn where as 1.71lakh cr collected by public issue translates into USD 24 bn only. Those who guarantee that you can learn about investing after attending their 2 days’ seminar are the same person who were advising investors before DMart IPO that Rs. 299/- price is not sustainable. application wise subscription in shareholders category?? This data is not available anywhere. how many no of application in shareholder quota ? can anyone have info ? Sailesh. This info is not avlble officially till allotment is done. However, just below, santoshji has indicated the mkt gossip of abt 80-90 th forms under sh category. Market is assuming approx 80-90K forms to be from shareholders & employees. And 1L forms will be rejected on technical grounds. Leaving a balance of 24L valid applications for retail category … therefore approx 4X time total subsciption application-wise… So in retail chances of allotment are 25% i.e. 1/4..
With above numbers is it safe to assume that 24,00,000 / 13 = 1, 84,615…. If the over subscription is not more than 1.85 Lac applications, then all applicants will get one lot each ??? Could you please explain in greater detail allotment methodology in SH portion in case of over subscribtion. A typical case here of over subscription number of shares wise and less applications due to some people applying for higher lots. The moment their are applications above 1.85 lacs, it implies that the shareholder portion is subscribed assuming the minimum lot of 13 shares each were applied. In such a case, irrespective of anyone applying higher no. Of shares, only the min lot will be allotted ( absolutely similar to retail investor category). Now if the no. Of appl are less than 1.84 lacs, that means the issue was not subscribed fully based on min lot per appl assumption. In that case, the allotment will be on proportionate basis, and hence benefitting those who have applied addl shares. Will I be correct in saying ” If the number of applications go more than 1.85 Lacs, then here allotment will be same as RII’s – lottery !!!!”. ? Can someone explain what is meaning of application wise subscription? Application wise subscription means how many application are received for a particular IPO. Let us say if xyz company offering 100 shares to public which is having minimum 10 lot. So for 1 time subscription we need 10 application. Now if 1000 people apply with 10 lot each so application wise subscription would be 1000/10=100. Hope it gets clear. Hitesh. The concept is that once issue is oversubscribed in a category, then it is first checked if all are allotted min lot, will the issue still be subscribed. If so, then all exta amount appl are irrelevant. So, here, even if the issue in retail is subscribed e.g. 7 times ( since ppl apply more than min lot) but based on just no. Of appl, it is e.g 4 times, then ratio would be 1:4 for allotment and not 1:7. Hence the usefulness of no. of appl. New record made by HDFC AMC, highest ever 5250cr from retail, certainly looks like many FDs were broken recently. तूने भी बहुत कुछ सिखाया है. What is the Application-wise Subscription in Shareholder Category? This data is available with Lead Managers and Registrars only. So IPO is subscribed 10.24 times, so what will be the probability of allotting the shares ? Application wise it’s 3.10X hence 10 allotments in 31 applications or approx 1 out of 3. Application Wise : 2.89 X subscribed in the retail category. Can one modify no of bids in asba application? Eg today i applied for 1 lot in hdfc ipo, can i modify it to 2 lots or 3lots tom morning? If you have applied in the share holder portion, you can take a chance by modifying the same to 2 lots. As it stands now, there is an outside chance for higher allotment. In retail investor portion there is no chance of higher allotment. All the best !!!! Happy investing !!! I want to share a few thoughts and figures I gathered from a discussion on another platform. 1. 24,00,000 shares up for allotment in share holders category. 2. Approximately 2,42,000 share holders as on eligibility date. 3. That means upwards of 70% share holders need to apply. 4. Applicants shall apply for multiple lots, like me. 5. Decent chance of allotment looking at the trend at the end of the day today. 6. Caution ….ICICI Pru Life share holder quota got more than 10 times subscription on last day. HDFC rewards everyone be it is trader , investor . check performance of HDFC,HDFC BANK AND HDFC Insurance. It is trusted by everyone and do not have debt like Anil ambani companies. It will give stellar results. HDFC AMC IPO Turn out to be next Reliance Power..? RPOWER Big IPO came in 2008 when the market was in the Bull run and at all-time high levels. Spoiled name and reputation of Reliance and Anil Ambani. Similarly today exactly after 10 years HDFC AMC IPO came at all-time high levels. Let all pray to God that HDFC AMC may not turn out another Rpower and not spoil the name of HDFC. It won’t Anuj. The Reliance Power IPO was based on some manipulation in financials and it was marketed so heavily that everyone at nook and corner of India has made an investment. Nothing like this will gonna happened with HDFC Group Company. Apply with no worries. Don’t be a pessimist brother. HDFC AMC is way too much better than RPower and as a group HDFC is much better than ADAG. Application wise it’s been Subscribed 2.25 times in retail category by 5PM! 1> Mahindra AMC, Managing Director and CEO Ashutosh Bishnoi Told PTI, that Indian Mutual Fund Industry will reach 100 Lacs Crore by 2025 from 23.5 Lacs Crore today. 2> We all know that currently, India’s AUM/GDP ratio stands at 11% which is quite below as compared to the worldwide average of 62%. The Indian economy is expected to be double in next 7 years and by 2025 we will become 5 Trillion Dollar Economy. So by considering the AUM at 100 Trillion in 2025, our AUM/GDP would probably reach 28%[ Considering the dollar at 70]. 3> HDFC AMC being a leader will going to benefits immensely from this AUM growth of 27.76%. Good quote and nicely comprehended. HDFC Mutual Fund IPO is a better bet than HDFC Mutual Funds for short-term gains :). So, apply with full force for bumper listing gains!! Next upcoming IPO is Lodha Developers. The company is raising Rs.5500 Cr from the IPO. It would be a mix of Fresh Shares and OFS by promoters. Could you please elaborate why have you commented on Mr. Paliwal’s message as risky. I have already applied for three lots in the RII category and am waiting to put three or more lots in the share holder category. You elaboration shall be of tremendous help. Cochin Shipyards Limited – 20,74,982 applications – August 2017. HUDCO Limited – 20,13,643 applications – May 2017. Avenue Supermarkets Limited – 18,65,900 applications – March 2017. Central Depository Services Limited – 18,54,513 applications – June 2017. Reliance Nippon Life Asset Management Limited – 16,37,276 applications – October 2017.
a> IIFL is offering to fund for HDFC AMC IPO at an interest rate of 8.5% for HNIs. If you’ve any questions, feel free to ask here! Thanks! There is a very much confusion prevailing around HDFC AMC IPO that how many lots one should apply under retail, shareholders, or Employee quota. Will maximum 13 lots available for retail should be the combination of ( Retail, Shareholders and Employee ) or we can apply 1 lot in Retail and 12 lots in Shareholders+ Employee or 13 lot each in Retail or Shareholders or Employee. I would like to clarify that all the categories will be oversubscribed eventually by tomorrow or day after tomorrow. So no point of applying more than 1 lot each in all categories wherever you are eligible. Hope it clears everyone’s doubt. Hey Gope, You can select SHAREHOLDER quota instead of RII while selecting the category. If you’ve any confusion, contact your bank support and they will guide you. But there is no column for shareholder quota in BANK OF INDIA ASBA application site. Please contact their support and ask them. They should be able to help. Retail quota will subscribe 3.5 times by application wise. Shareholder quota will subscribe above 15 times. Pls add HDFC SHAREHOLDER QUOTA IN YOUR HDFC AMC IPO LIVE SUBSCRIPTION FIGURES. We are working on it. Very soon, it will be available! to increase the chances of allotment – is it better to apply one lot each in shareholder and general retail category or just one lot in shareholder category ? Please advise, thanks. One lot in retail and one lot in Shareholder category for best chances. Five of the largest global active asset managers including Capital, Fidelity, Blackrock, Temasek, etc. have participated in the anchor leg. HDFC AMC IPO raised Rs 732 crore from anchor investors, ahead of its initial share sale beginning today. It has allotted 66.53 lakh shares at a price of Rs 1,100 per share to 61 anchor investors garnering Rs 732 crore. 1> Motilal Oswal Securities has recommended “subscribe” to the HDFC AMC IPO issue. “Favourable perception of HDFC AMC brand, higher mix of high-margin equity oriented AUM, consistent RoE of 40%, a wide distribution network and increasing dividend payouts work in HDFC AMC’s favour. 2> Choice Broking also has a “subscribe” recommendation to the issue. “On the valuation front, HDFC AMC is demanding a valuation of 7.8% to its FY18 AUM, whereas as its only peer Reliance Nippon Life Asset Management Ltd is trading at 5.6% to its AUM. Considering the higher concentration of equity assets in the AUM, most profitable AMC tag and the brand name associated, we feel that the higher valuation demanded by HDFC AMC seems to be justified. HDFC group company HDFC LIFE Insurance came up with an IPO in the month of November 2017 at an Issue price of 290 on higher band. The listing was timid at around 310. However, post listing it has given spectacular results and as on today trading at 485, which is almost 68% return since listing. So guys HDFC AMC will also rock like this. I agree with you cent percent. All the analysis reports I have read, have also come out with a “subscribe” recommendation. How does one apply through ASBA in the shareholder and retail portion separately? I do not see any separate column on the ASBA form. India’s MF market is still at a nascent stage as asset base of mutual funds as a percentage of GDP is just 11 percent and there is room for growth. The global average for the same is 62 percent, while in the USA, it exceeds over 100 percent. India has a culture of saving. Indians save Rs 20-30 lakh crore every year, which indicates immense scope for channelizing this saving into MF industry. Guys do not sell your application in the grey market. Apply in HDFC AMC IPO with maximum number of accounts possible and you will definitely enjoy the listing gain. Umesh ji, can you pl guide how to apply for both retail portion and shareholder quota separately on ASBA? I do not see any column in the online form. Thanks. Apply separately 1 lot each in retail and shareholder quota. Thanks Umeshji. However, on the ASBA online form, I do not see any place where one has to define whether one is applying in the shareholder quota or in retail. How valuation of AMC businesses in India is calculated?? >The P/E and P/B valuation tools to measure valuation are not generally true for AMC companies. >The AMCs are valued as a percentage of AUM( Asset Under Management). Generally market values company at around 5-6% of the AUM on the higher side. >Recently IDFC AMC was on final stage of negotiation to be aquired by Avendus group at a valuation around 5% of AUM. > HDFC AMC IPO is having AUM of 2,93,000 Cr and M.cap of 23161 Cr. So the IPO is valued at 8% of AUM which looks on higher side but hold on as per market pandits, the sale of operation, market leadership, performance and brand also matters a lot. So just can’t gauze valuation by looking at just one parameter. > Important point to note is– The AMCs businesses do not get higher valuations as like Life Insurance, banks or general insurance industry. So we have to look the Industry in that perspective before investing. I am aware that in RII category, in the event of over subscription, allotment is on lottery basis and at best one can expect 1 lot of allotment. However in share holder category, is the allotment on proportionate basis ? If so, can I conclude that if you apply for more number of shares, ofcourse less than Rs. 2,00,000/-, your chances are more ! !1 Please advice. Only if shareholders category is not fully Subscribed. Most probably, it will be fully Subscribed as this is HDFC so better apply for 1 lot only in Shareholder category..
Allotment in Shareholders category would also be on a lottery basis. The number of shares reserved for shareholders category is 24 lacs[264 Cr] and for the retail category is 77 lacs[ 847 cr]. You can apply a maximum of 13 lots combining both retail and shareholder category. We are expecting retailers will put application around 3000 Cr ( 3-4 times subscription ). It is hard to predict how much HDFC shareholders will apply but being a brand it will definitely be oversubscribed. So my strategy would be to apply one lot in both Retail quota and Shareholder quota to maximize your chances of allotment. 01/04/2017 to 31/12/2017 time period ni eps 188 chhe. if we annualize it, it may by 251 rs.. if the total issue is ofs. than there is not question of capital increase. why you have written post issue eps as 31 ? IT SHOULD BE 251/- IF IT IS 251, THAN PREMIUM IS VERY VERY LOW. PLEASE CLEAR THE MATTER. Till 9MFY18, the company has issued 26139000 Equity Shares and accordingly EPS was 188. However, on February 7, 2018, the company has issued bonus shares of 78,958,200, so total shares becomes =26139000+78,958,200=105277200. Then on February 13, 2018, the shares got split in the ratio 2:1, so total shares becomes= 105277200*2=210554400.That means at the end of FY18 i.e March 18, total shares outstanding were 21.05 Cr approx. The Annualized profit of the year was at 660 Cr, so EPS would be 660/21.05= 31.35. Hope it clears your doubt. if hdfc amc ipo is fully ofs, than eps should be 251. More than 2 lacs ki application HNI quota me offline kar sakte he..? Yes. aap ya toh broker ke paas jake ya phir apne bank ke pass jake form bhar sakte hai. form aapko nse/bse ki website se mil jayega. Appke case main 50,000 se upar ki application hai toh PAN card ki copy lagani hogi. Aur ek baat dhyan rakhiyega agar aap bank se apply kar rahe hai toh us bank main ASBA facility honi chaiye joki aajkal waise sare chote bade banks main hoti hai phir bhi ek baar check kar le. Eligible HDFC Shareholders can apply for shares under both the HDFC Shareholders Reservation quota and non-reserved portion (retail quota). However, the maximum shares adding both the category can’t be more than 169 shares else both the applications will be rejected. Those who hold in demat on or before 14 march can apply in HDFC share holder quota. RITES IPO was subscribed 15 times in retail category and the total amount applied by Retail investor was tune to 2500 Cr. Now the total valuation of upcoming HDFC AMC IPO is around 3500 Cr, under which 1225 Cr(35%) is reserved for retail category. So if we consider the brand of HDFC, we expect that Retailers will apply more in HDFC as compared to RITES. Let us suppose Retailers put 4000 Cr application( 60% more than RITES), then retail category can be subscribed around =3.5 times (4000/1225). So chances of allotment is high in HDFC being a large size IPO. The issue may be postponed to another two weeks , as SEBI directs HDFC AMC to cancel pre-IPO share sale, and return investors’ capital. Actually HDFC has issued shares worth Rs 150 crore to 140 distributors and advisors at Rs 1,050 per share in April. HDFC IS A GOOD BRAND VALUE IN STOCK MARKET. IT WILL GIVE LISTING GAIN. APPLY BLINDLY. Issue Price could be in the range of 1200-1500. HDFC AMC IPO is an OFS of 25,457,555 No. of shares wherein HDFC Limited is selling 8,592,970 EQUITY SHARES and STANDARD LIFE INVESTMENTS LIMITED selling 16,864,585 EQUITY SHARES to public. INITIAL PUBLIC OFFERING OF UP TO *25,457,555* EQUITY SHARES OF FACE VALUE OF 5 EACH.